One of the most popular and proven trucks on Earth, Granite is designed to take on the toughest jobs. Rugged and durable with wide-set airbags and shocks to handle rough rides. Versatile frame system provides rock-solid performance, durability and reliability. Makes even steep inclines and rough terrain simple to navigate. 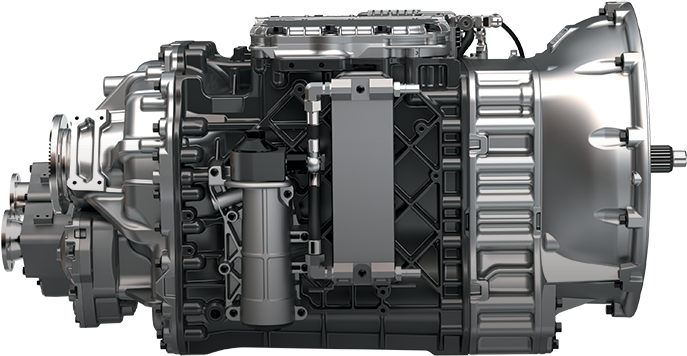 Set-forward and set-back axle positions let you spec to the job and local bridge laws. Optional D-shaped fuel tank leaves more room for body installation. Reduce installation time and ensure reliability no matter the configuration you choose. 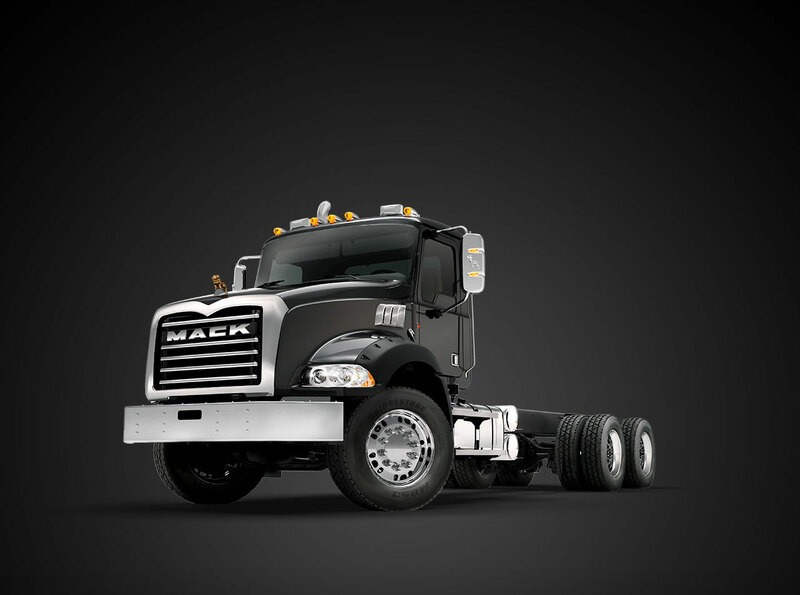 Proprietary Mack® axles provide greater articulation on the most demanding jobsites. A sanctuary from the rough road, Granite’s redesigned interiors keep drivers safe, comfortable and productive. An industry-first, allowing more belly room and clearance for entry or exit. 5” full-color digital display provides enhanced visibility and simpler navigation without distractions. Constant truck monitoring and Pre-Trip Assistant, including one-person Exterior Light Inspection, help keep an eye out for potential issues before they become real ones. 7" touchscreen interfaces with smart steering wheel buttons and manages tools like Sirius XM, Weather Band, TomTom truck navigation, Apple CarPlay and optional back-up camera. Intuitive placement—and the option to install it even higher on the dash—gives drivers comfortable access without taking eyes off the road. Oversized cup holders fit large drinks and there’s room for keys, devices and more in the easy-to-clean unit. We partnered with Sears Seating to build seats that improve driver comfort and support, while taking on daily wear and tear. 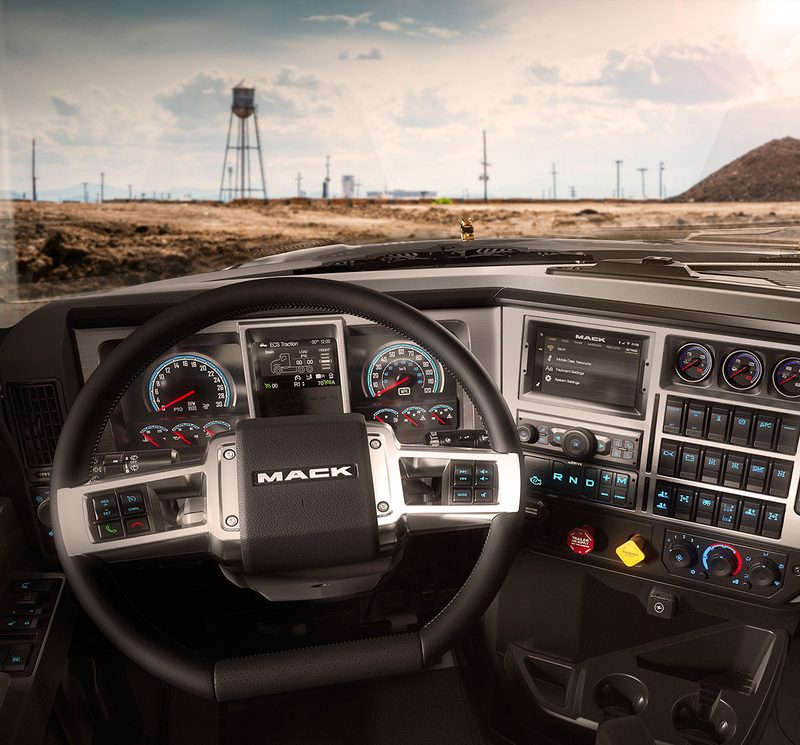 Built to work and designed with purpose, automotive-inspired controls make operating Granite easy, safe and comfortable. Customize the dash with 4 optional auxiliary gauges. 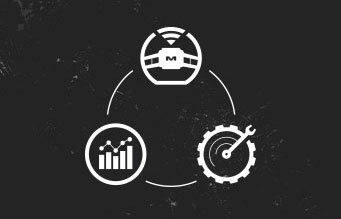 Mack’s exclusive uptime solution combines software, analytics and driver technologies to keep your business moving forward. 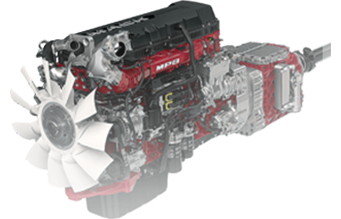 Engineered for efficiency and performance, and proudly assembled in Mack’s Hagerstown, Maryland powertrain facility, Mack’s integrated powertrain is the toughest in the game. Bar none. 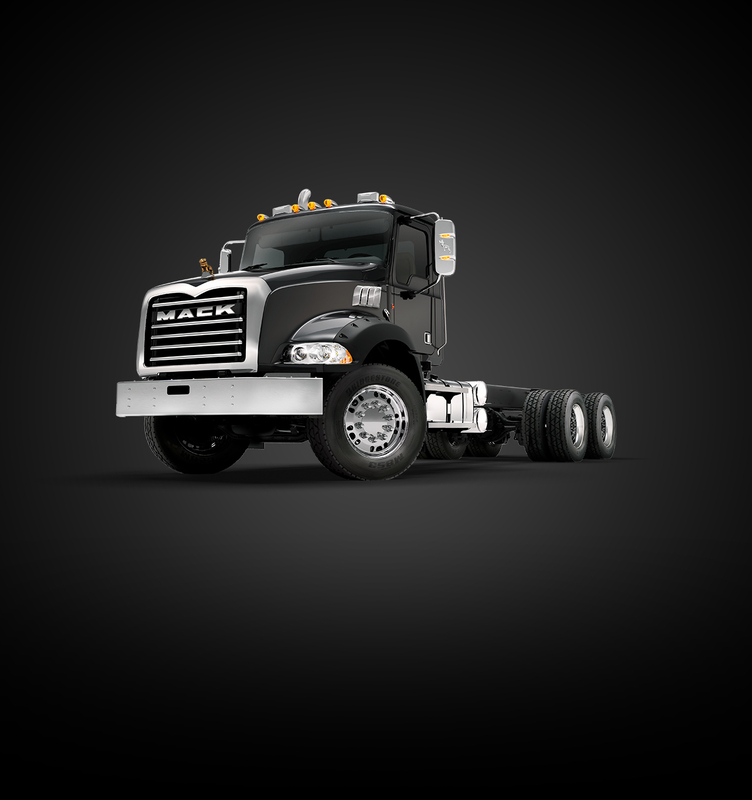 With Truck Builder, you can customize your Mack truck from the frame up.